Mobile app development is the boom. In fact, there hundreds of apps are created and submitted to the app store every day. Yet, despite the volume, only a few are recognized. According to a recent survey based report from Forrester Research, US and UK smartphone owners “use an average of 24 apps per month but spend more than 80 percent of their [in app] time on just five apps.” Those five apps: Facebook, YouTube, Google Maps, Pandora and Gmail. That begs the question: How can we increase downloads and app use – AKA mobile app retention. It’s about time we analyzed where developers go wrong and how to improve user retention. The above scenario is a pretty common trend. In fact, Quettra released a study showing that 77% of users stop using an average app within the first three days of install. Notice the word “average” used and the metrics are different for “performing apps.” If you notice users uninstall your app within the first three days, then you should be doing something drastic to increase user retention. User retention is one of the biggest challenges developers face all over the world. We understand how bitter the truth is – It feels like someone called your newborn baby ugly and then refuses to hold her. It hurts. A lot! But let’s turn the tables around and look at the problem areas, with the goal to reinvent the app with more sticky, user-retaining features. Your app can be a masterpiece, but when it comes to reaching the target audience, you might not have the right end users in mind. The end users are the ultimate decision makers who make or break your app. 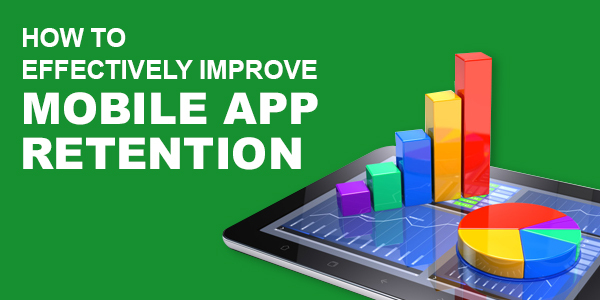 Understanding their needs and recalibrating the app will definitely, to an extent, increase your app retention rate. To help, check out our, “Top 61 Mobile App Testing Tips For 2015 – The Ultimate Checklist” which was crafted with keeping end users as the ultimate goal. User acquisition is becoming an expensive process, as apps overcrowd the app store. The competition for visibility accounts for the rising price of app installs. While a percentage of your marketing effort should rely on app installs, the majority should be spent on making users re-visit your app. An average user won’t stick to your app if it takes more than 3 seconds to load. Slower apps lose 60% of their first time users, even before they get to the home page. Similarly, if your app requires login details, then be prepared to lose 56% of first time users. App acceptance should be given ultimate priority as each app will be perceived differently. If login details are of core importance to your business process, then you must accept the loss of half your acquisitions. Analyzing the heat map of your mobile app also shows you how users navigate through the app, the difficulties they face and the functionalities they hardly use. It’s a great tool to find the various pain points of your application. Fixing such issues will help users navigate efficiently and have a great experience with the app. To help, check out our post, “How To Tell If Your Mobile App Need A Redesign” to find where optimization is necessary to have a user-friendly app. Push notifications are a great tool to get in touch with your users. It’s said to increase in-app activity by 43%. Don’t be too creepy by bombarding them with constant notifications. Be creative and strategic in letting users know about your awesomeness. Notifications are best sent around noon or bed time when users are most active on their smartphones. So, reaching users during their peak online time will enforce maximum user activity. The notifications should be creative in enticing users to click on and enter the app. An eCommerce app can tempt users with their fabulous promotion, whereas a news app can make them click with their exciting content. Further, business apps are left with no choice but be creative to engage users. For example, an accounting app can send weekly notifications on Sundays, reminding users to enter in their expenses or some other useful tips to get users into the app. If an app remains idle for more than a month, it’s as good as getting deleted. On the positive note, if an user doesn’t deactivate your notifications after a couple of weeks, then you’ve got yourself a loyal customer. It’s a known fact that 50% of users delete an app within 3 months. It’s a small time frame to convert intrigued users to loyal ones. Inducing loyalty is quite an investment, but once they stick to your app, it becomes an asset and no additional push notifications are necessary to make them use your app. Other things to do: Monitor the app store comment section regularly to see how users react to your product and have an active customer support and always respond to their emails. These are basic elements that each app should follow to improve their app retention rate. No one likes to be labeled, “average.” It takes time and practice to become extraordinary and we have been in the industry long enough to understand the pain points and success metrics. Get in touch with our Atlanta app developers for a detailed consultation on how to make your mobile app sticky and sweet.